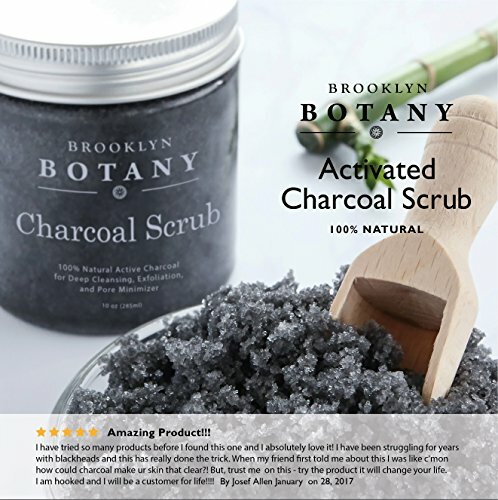 BEST CHARCOAL SCRUB - Our dual action scrub not only uses the coveted salts of the dead sea, but also uses activated charcoal to expel excess oil and impurities in the skin. It also acts as a powerful Blackhead Remover. 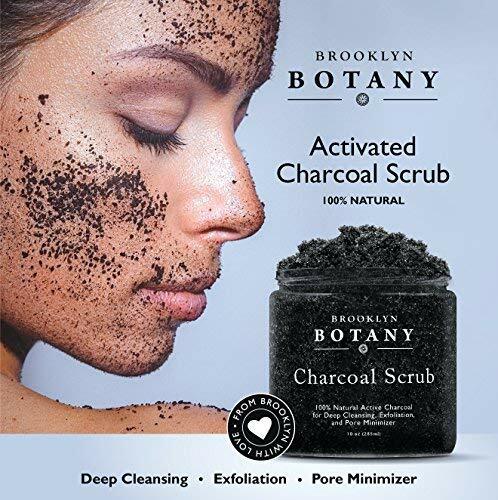 Detoxify and rejuvenate your skin with this exfoliating scrub that not only uncovers fresh skin, but also leaves moisturizing minerals and nutrients behind. 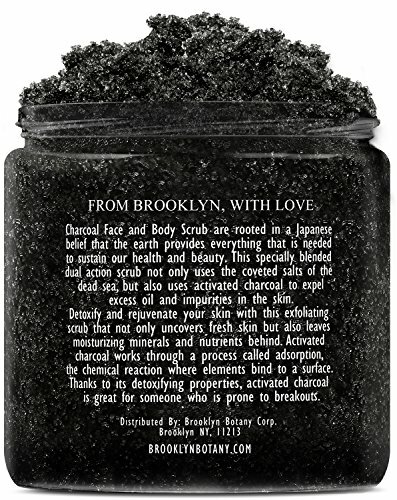 ACTIVATED CARBON BODY SCRUB - Our Charcoal Facial Scrub & Body Scrub speeds up healing of wounds. 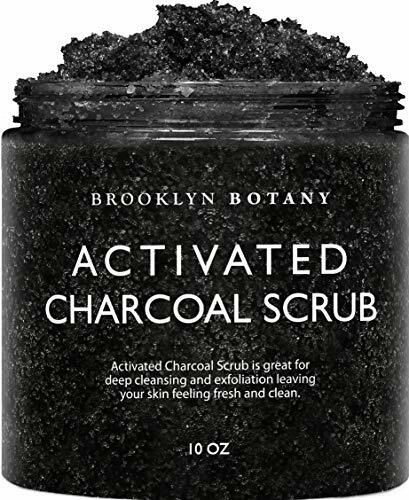 Charcoal helps with Skin Lightening and Brightening. It helps eliminate itchiness from skin irritants or allergies Charcoal Mask also eliminates body odor on underarms, feet and scalp. It helps to tighten pores and smooth the skin. 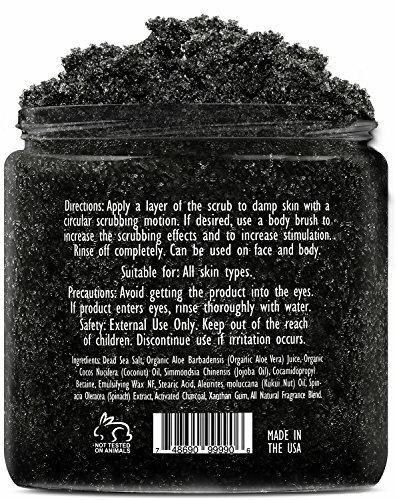 PORE MINIMIZER FACIAL SCRUB - With this Anti-Aging Charcoal Scrub, enjoy the amazing age defying qualities of this premier rejuvenating facial treatment scrub. At any age, it minimizes and cleanses clogged pores, smooths the skin's, and ensures a flawless and noticeable skin texture. This is a multi functional treatment that tightens the appearance of pores and delivers less oily, less shiny skin with a matte finish that remains fresh and smooth throughout the day. 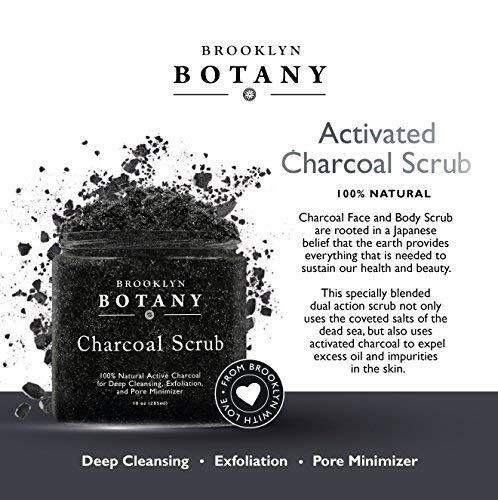 MADE IN USA: Our Charcoal Scrub is made in the USA in a FDA Approved and GMP Certified Manufacturing Facility. 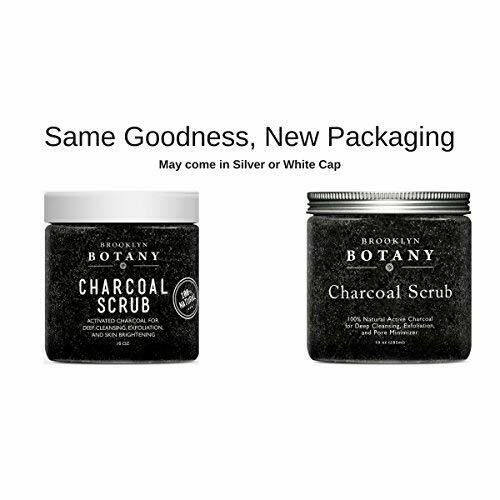 Our Charcoal Face Scrub is Paraben Free and Cruelty Free.